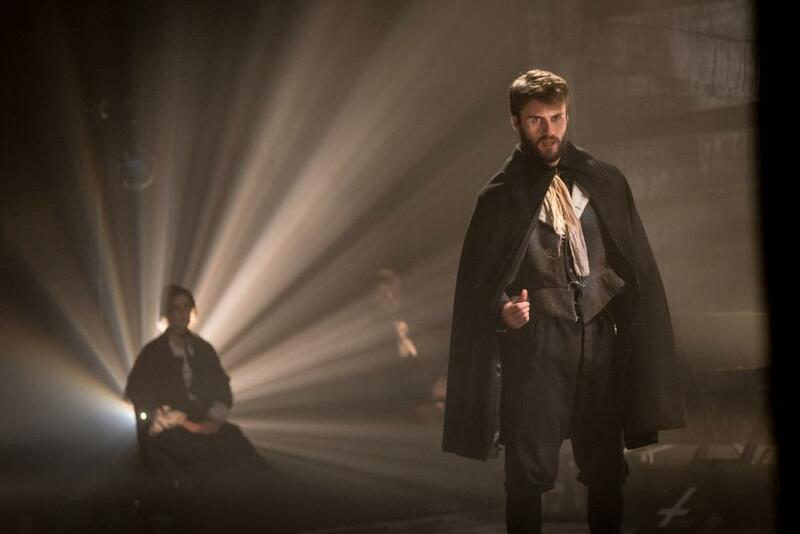 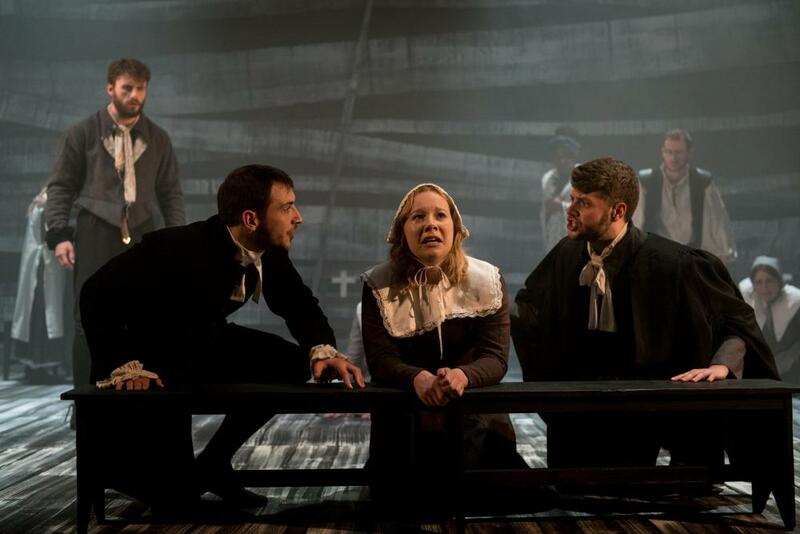 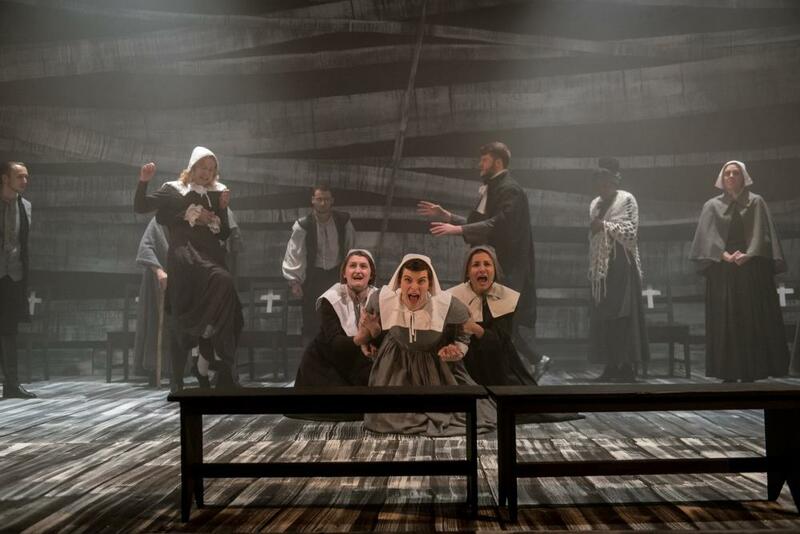 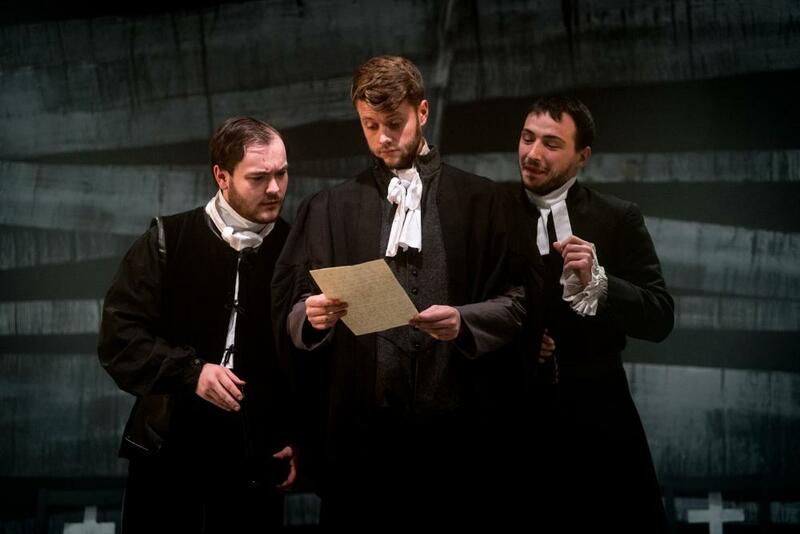 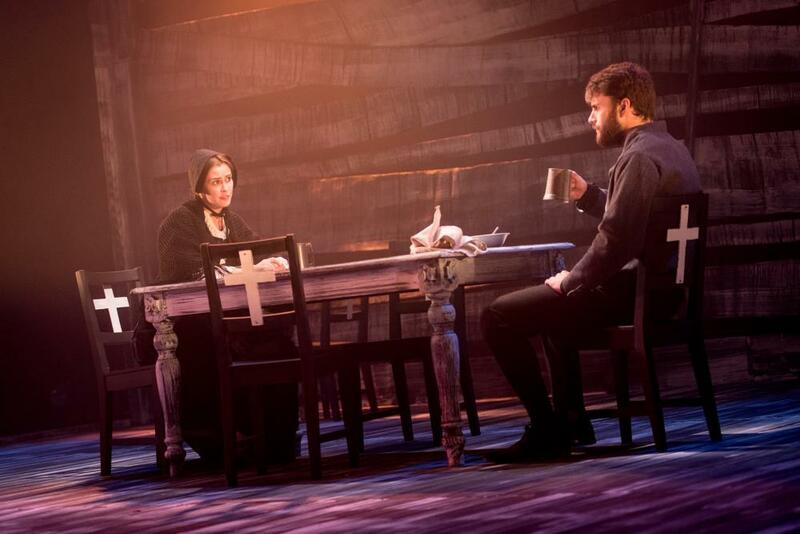 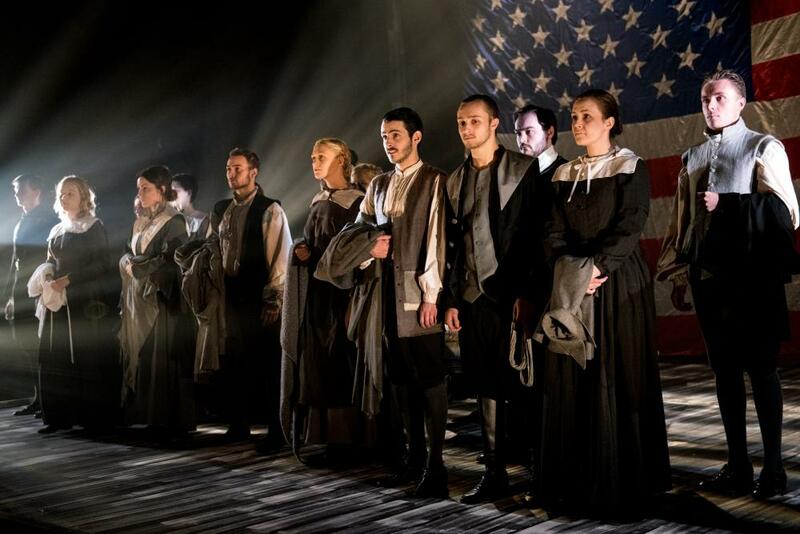 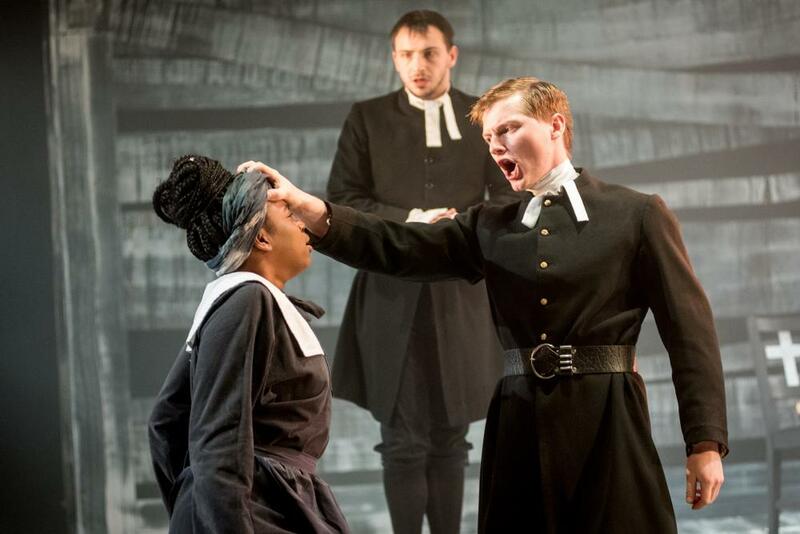 In Autumn 2015 Benet directed his largest cast for five years in a bold new production of Arthur Miller\'s masterwork THE CRUCIBLE, opening days after what would have been his 100th birthday. 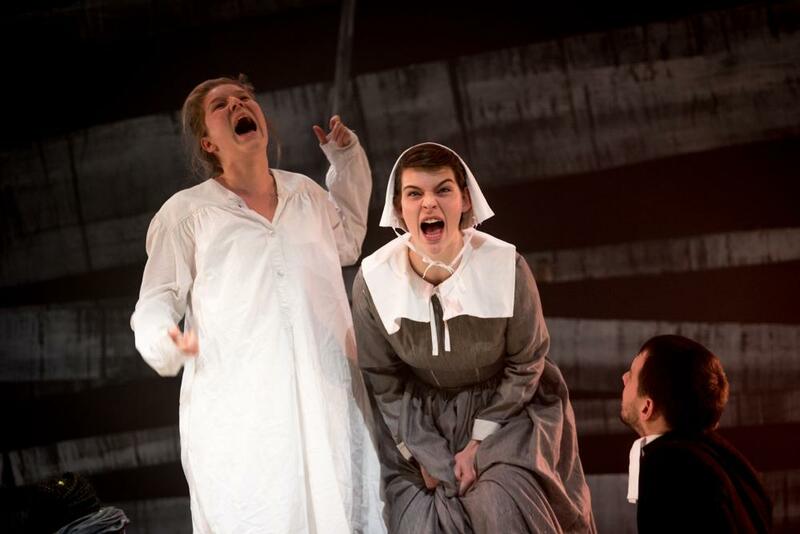 Miller wrote The Crucible as an allegory of Senator McCarthy\'s infamous witch hunts of suspected communists in Hollywood and elsewhere in the 1950s. 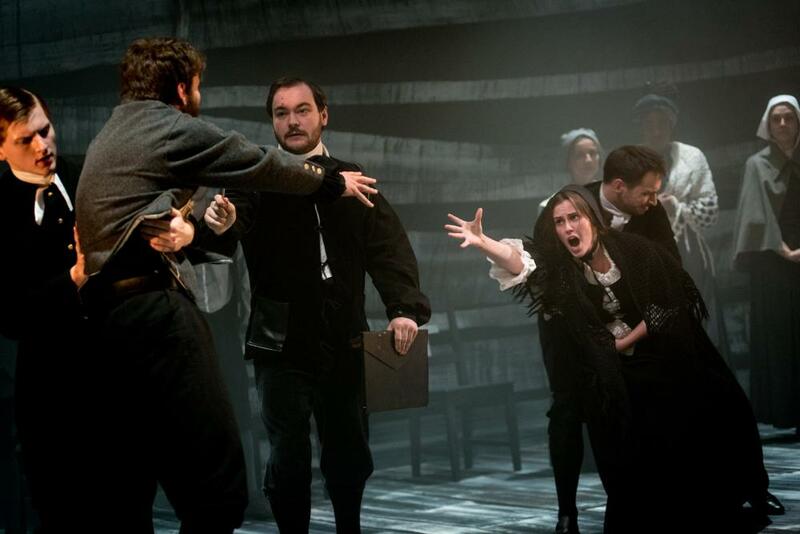 What is less well known is that much of the plot and all of the characters correspond exactly with the recorded facts of Salem in 1692. 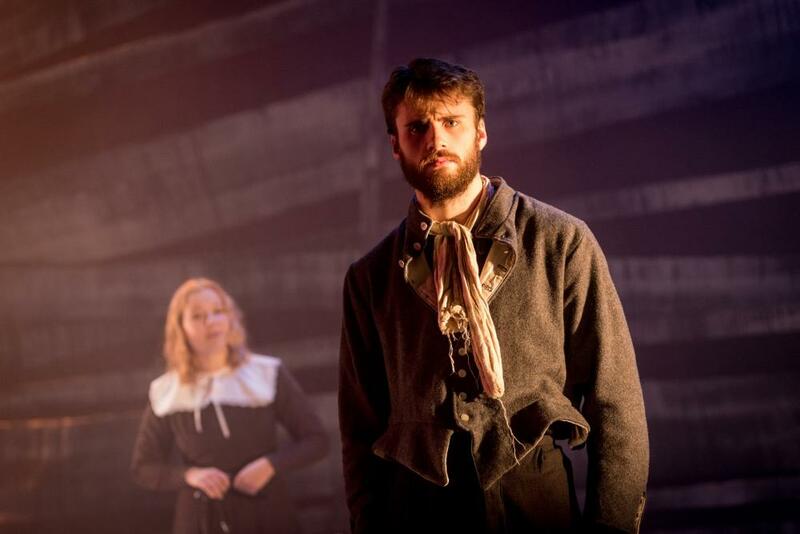 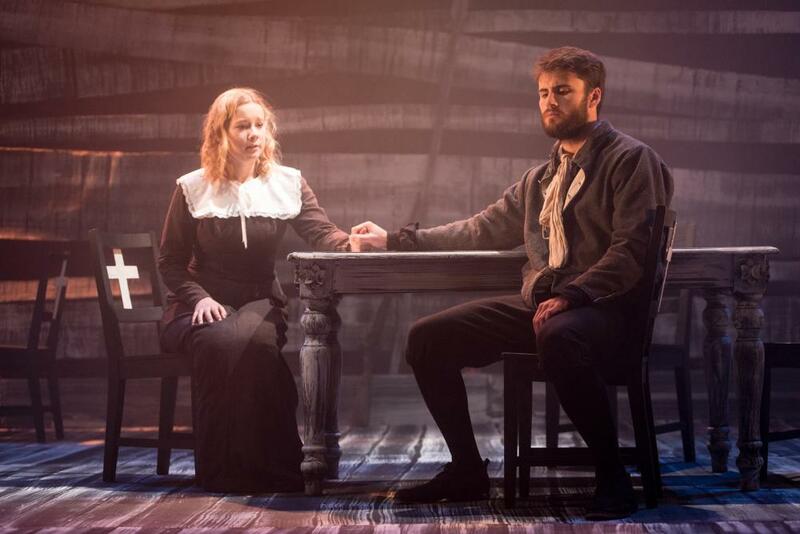 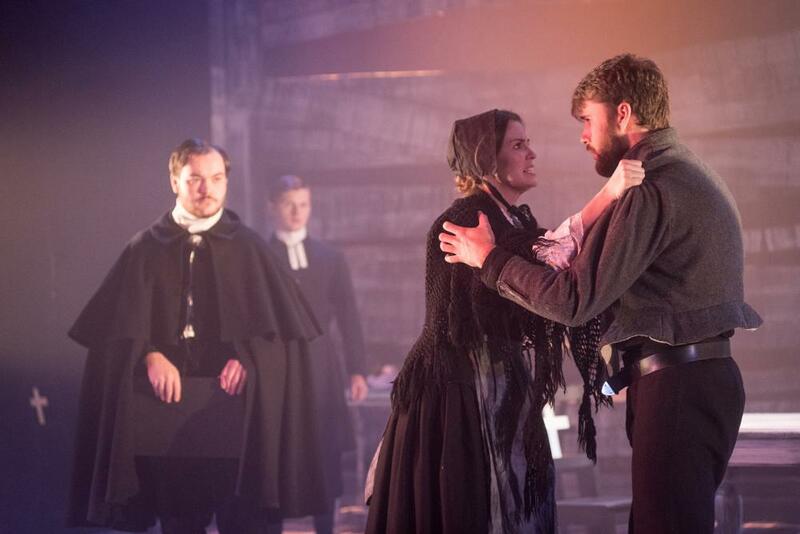 The Crucible opened fifteen years to the day after Our Town, Thornton Wilder\'s play in which the community at its centre is presented representationally and parts of the story are narrated. 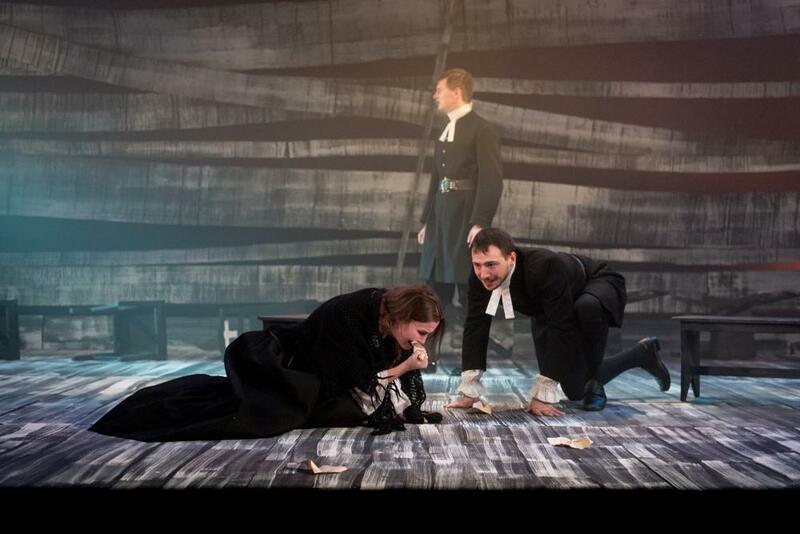 It is the only American play more popular than The Crucible. 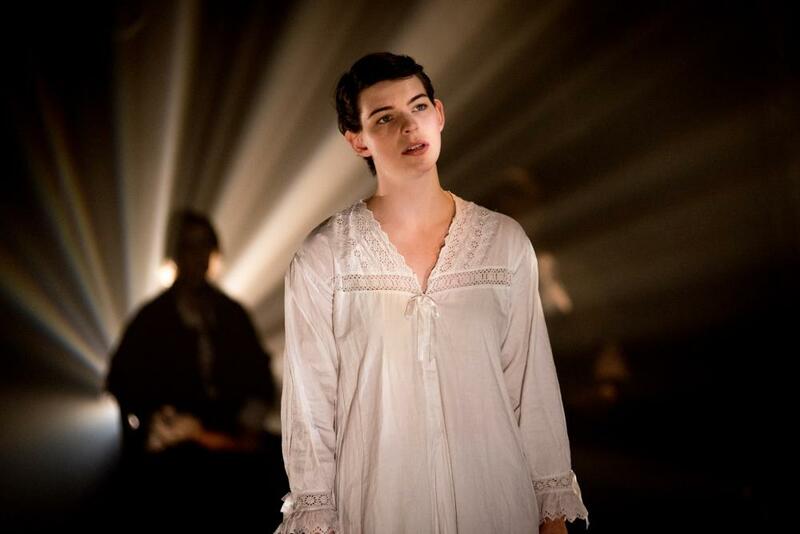 The documentary strand and the Our Town connection both informed Benet\'s staging of the production which began and ended with recordings of the McCarthy Trials listened to by the full 19-strong ensemble, holding their costumes in their hands. 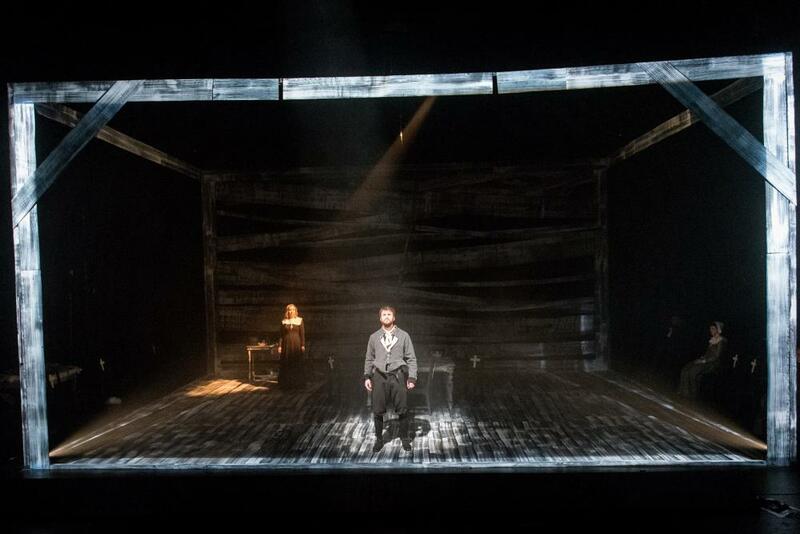 Designed in monochrome within a vast slatted box which at times resembled a huge television screen, the production made substantial use of the ensemble who were present throughout the first scene and at intervals afterwards. 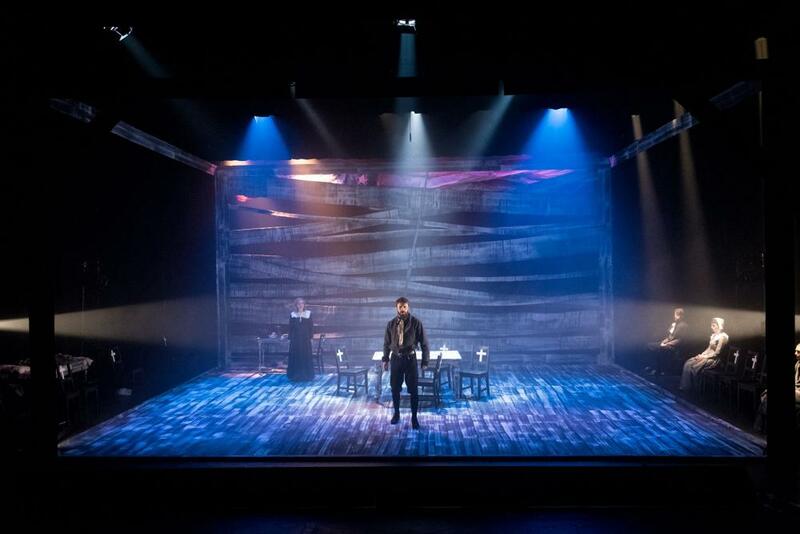 Consistent with the documentary style, fragments of Miller\'s own notes introducing or commenting on key characters or events in the play - including a \"what happened next\" style epilogue - were spoken from outside the box by members of the company in their own voices. 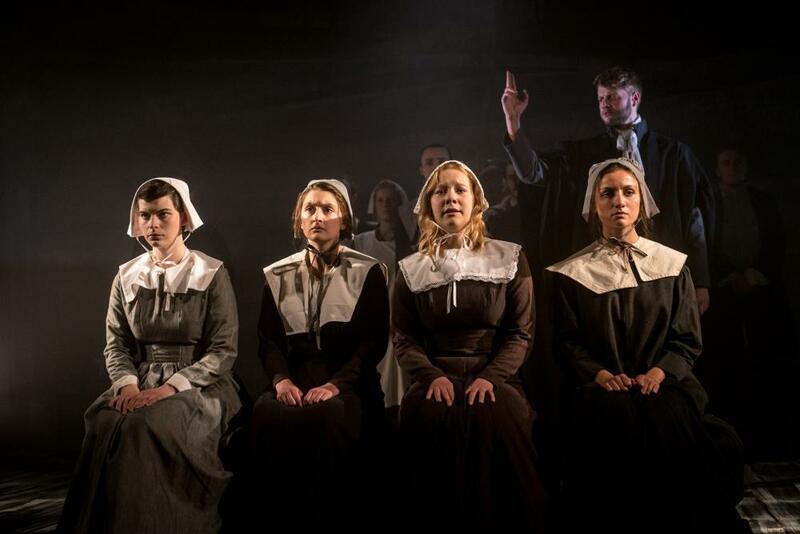 As typical with Benet, the staging was highly stylised but spare, aided by a tremendous sound design and a spectacular visual approach which included nooses hanging over the audience\'s heads throughout, and others dropping from the flies in the final seconds of the play. 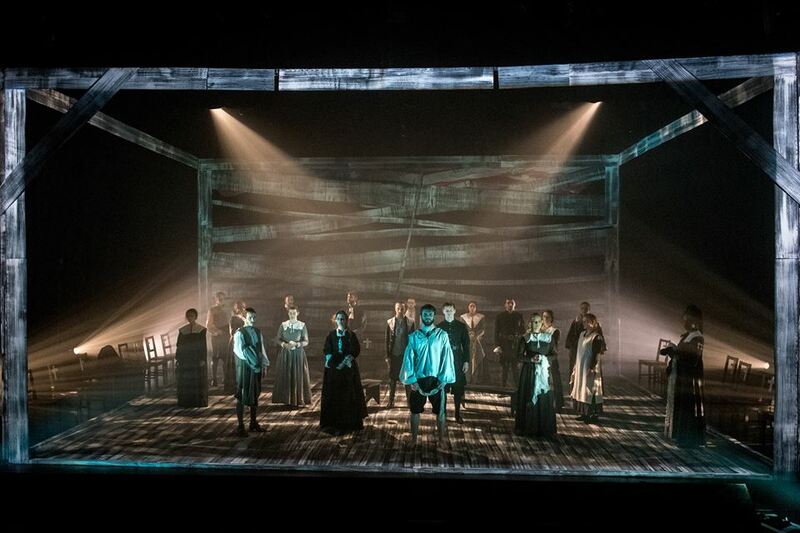 Despite being easlly the most complex and ambitious production Benet has staged so far for BSA (where he has previously directed The Sugar Wife, The Castle and Three Birds Alighting on a Field) The Crucible was one of his easiest and most stress-free productions of recent times, thanks to the commitment of the typically talented BSA cast and the exceptional support of the stage management team.